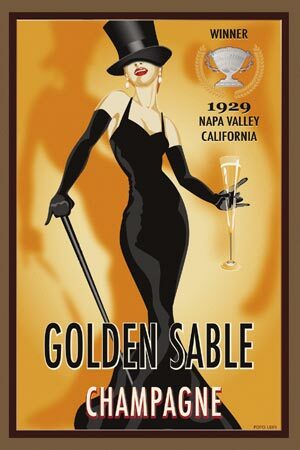 Vin de Champagne originally meant wine from the countryside, as in the modern French campagne. 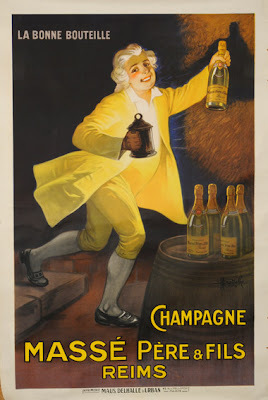 It was only in the eighteenth century, after the English had worked out how to bottle fizzy drinks, that it took on its modern meaning of a Bottle of Bubbly, and contracted itself to those wines produced in the region around Épernay. A couplet that confused me terribly as a child. All it meant was that the Etruscan army was advancing across the countryside and the country folk were running away. This advance would, of course, have happened during the summer. During the winter troops have to hole up and wait for the snows to depart. Then, with the thaw, they set out on the campagne, which is why they are on campaign, literally on the countryside. Of course, back in Roman times it wasn't called campagne. Campagne comes from the Latin Campus, meaning field. Fields have many uses. For example, you can put university buildings up in a field and that is the campus where young humans go to learn (hippopotamuses are confined to the hippocampus). You can, if you are an army on campaign, simply pitch your tent in a field and that is called a camp. This is what the Etruscan army would have done. Thousands of Etruscan men would have spent their night in a field while their wives, lovers and catamites remained in Etruria. The sexual frustration of thousands of womanless men would have been somewhat assuaged by the prostitutes who made a living by following the army around and offering their bodies to indiscriminate lewdness for hire. These indiscriminate ladies were the camp followers. Nobody is quite sure of the next bit, but those camp followers, meaning harlot, seems to have been shortened to camp meaning tarty, illicitly sexual etc etc etc. This then got switched from queen of the night, to queen, to queer, gay*. And so you get to camp fellows camping it up, which now means the outrageous chap in the bar on Old Compton Street with a glass of pink champagne. *N.B. Alternatively, camp comes from the C18th French se camper, meaning to pose. Nobody's quite sure and the OED cautiously writes "Etymology obscure". Being a little repetitive here, but I feel that there are bits missing: "queen of the night, to queen, to queer, gay*." Does this mean queen got translated to queer somehow and that then became gay? Or is gay a clarification of queer? And if so, how is it related to queen? Thus seedy deeds lead to alcohol and alcohol leads to seedy things.